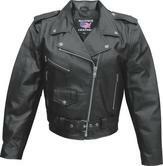 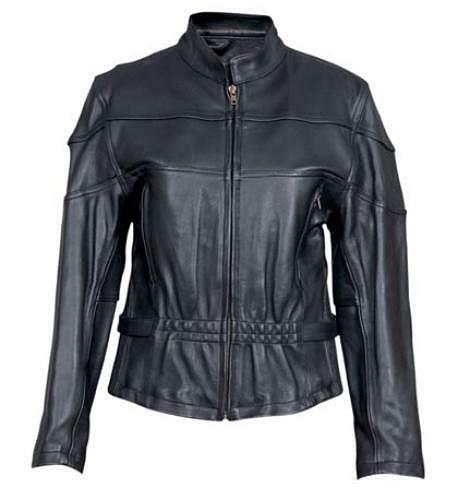 Ladies Basic Motorcycle Jacket Split Cowhide. 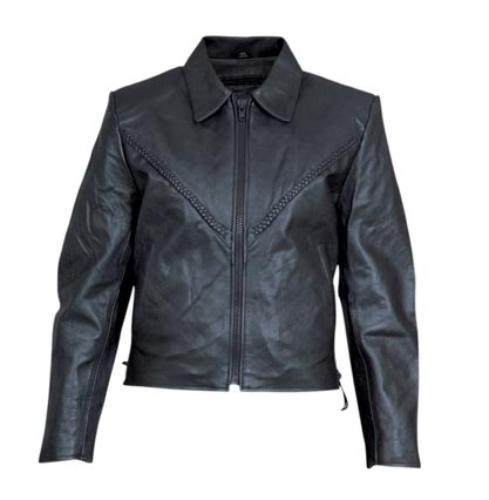 Has one zippered chest pocket , 2 zippered vertical waist pockets and a small waist pocket with a button flap. 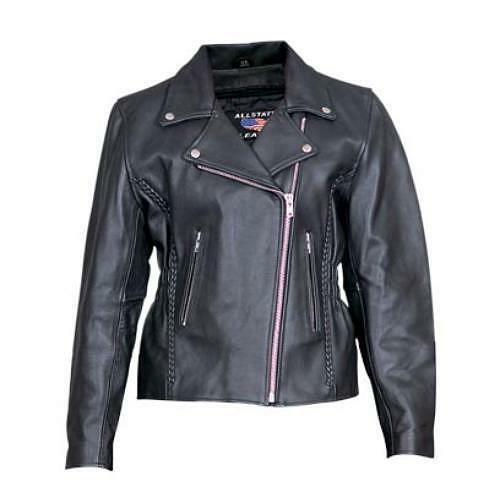 It has a quilted lining and both sleeves have zippered cuffs. 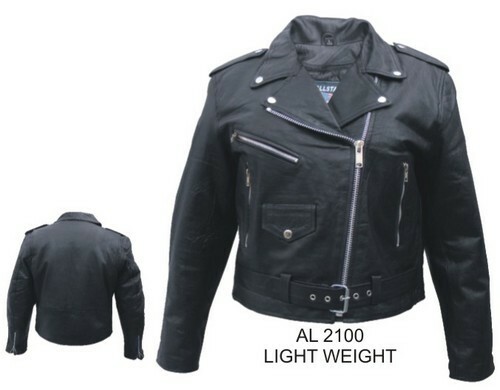 It also has a single panel back. 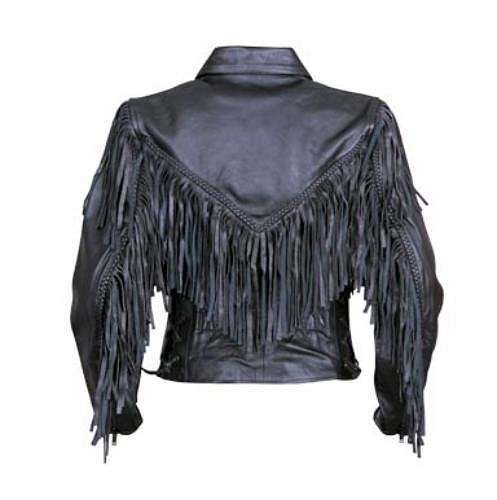 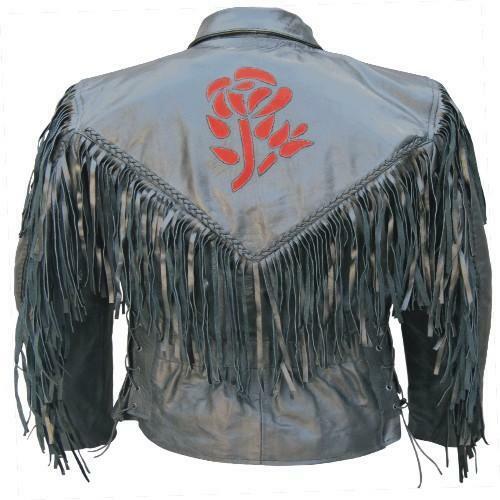 Split cowhide leather, has a zip out liner, fringe down the front and rear in a Vee and fringe that goes down the back of each arm. 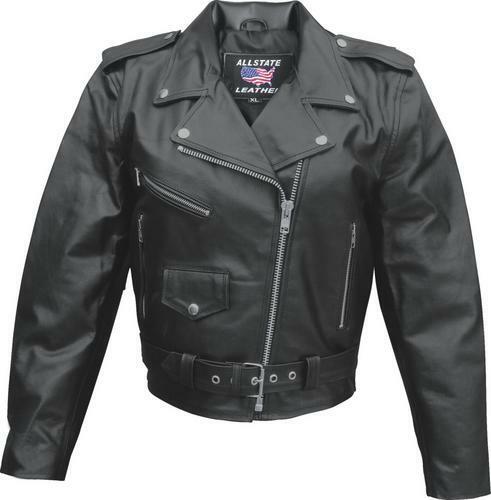 It also has side laces. 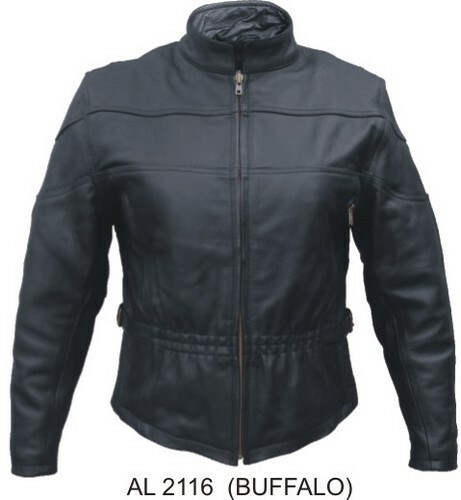 women s motorcycle jacket. 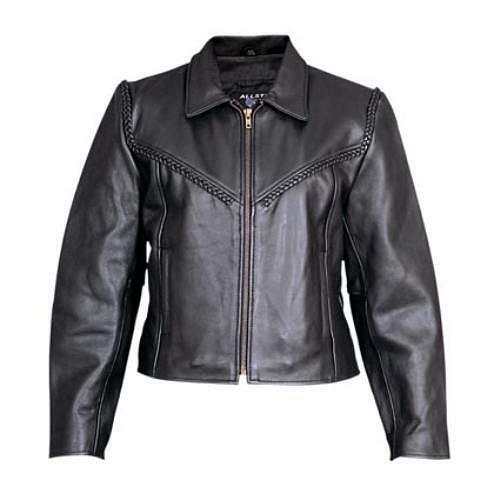 Ladies Leather motorcycle jacket is made from split cowhide. 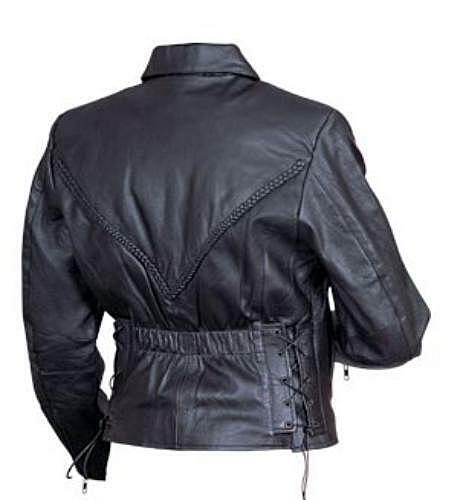 Jacket has vertical braid on front and back. 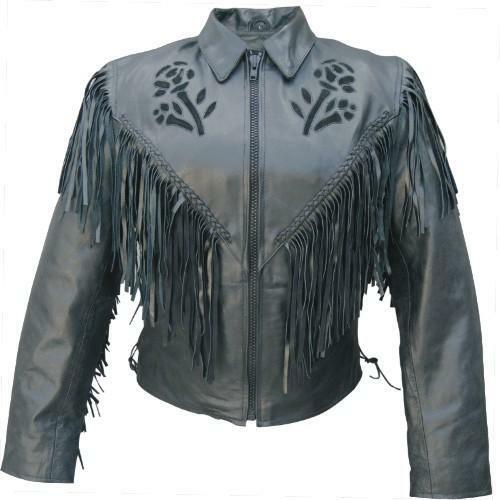 Has 10 silver studs on back and zippered cuffs.It has 2 vertical zippered waist pockets on the front. 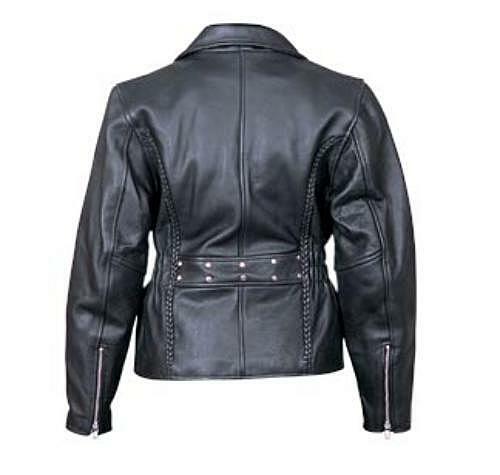 Ladies Braided on the front, back and over the shoulder leather jacket. 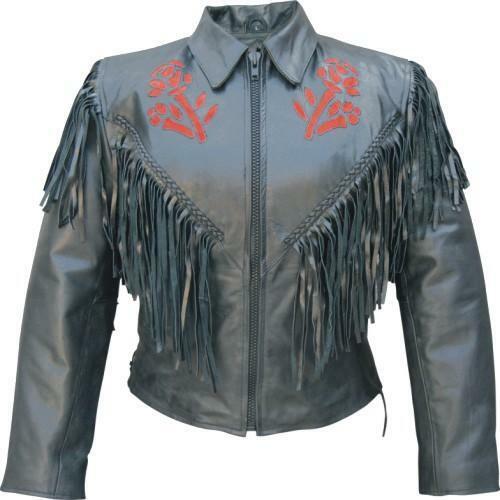 Split cowhide, with a zip out liner. 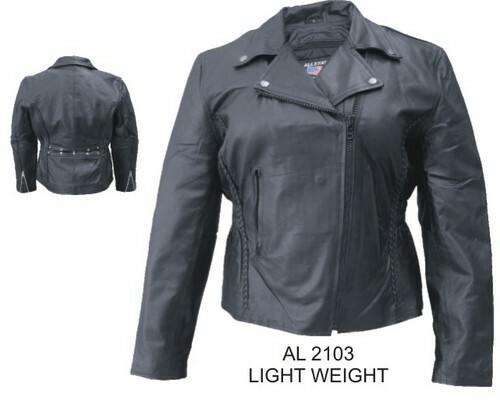 Ladies vented jacket with full side zipout liner, Elastic front and back with spandex sides. Ladies jacket with Braid Trim front and back. 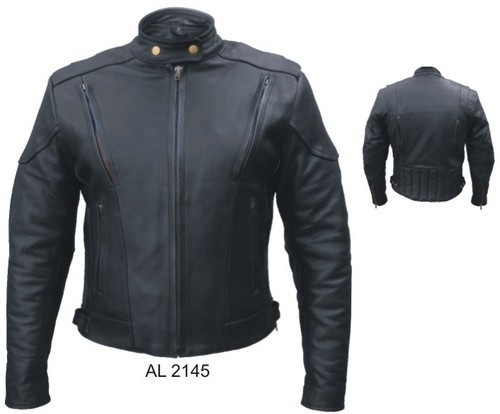 Euro collar & zip out lining. 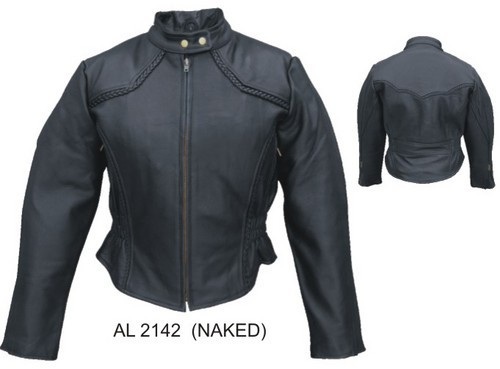 Ladies Vented front & back Touring jacket. 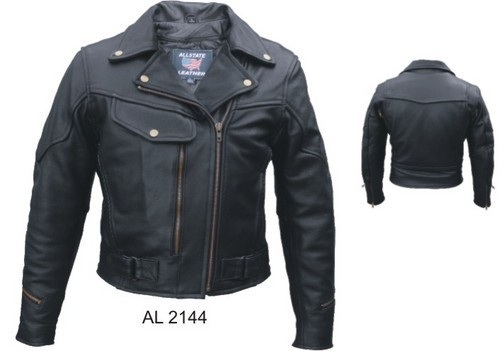 Euro collar with zipout liner and side zippers. 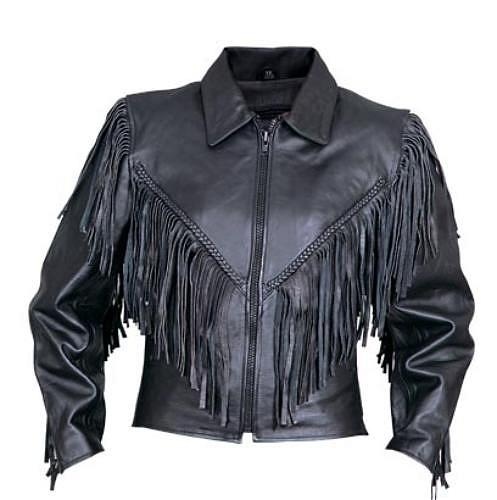 Ladies jacket with fringe, braid, side lace, and zipout liner.